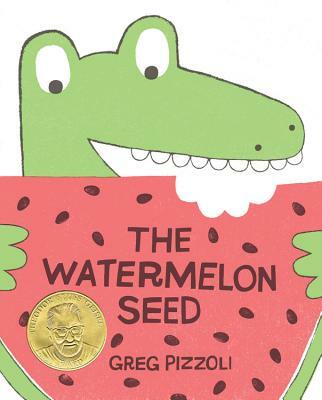 With perfect comic pacing, Greg Pizzoli introduces us to one funny crocodile who has one big fear: swallowing a watermelon seed. What will he do when his greatest fear is realized? Will vines sprout out his ears? Will his skin turn pink? This crocodile has a wild imagination that kids will love. With bold color and beautiful sense of design, Greg Pizzoli's picture book debut takes this familiar childhood worry and gives us a true gem in the vein of I Want My Hat Back and Not a Box. Greg Pizzoli is an author, illustrator and screen printer. When not chomping down on watermelon, he can be found in his studio or teaching at the University of the Arts in Philadelphia, where he also received his MFA. This is his first book. Visit him at www.gregpizzoli.com.